Debunking the myths of student-athlete academic standards. The discussion about the stereotype, however, isn’t over — not when it comes to student-athletes. And UCF is unafraid to lead that discussion, even at a time when institutions are embroiled in academic scandals. So unafraid is head football coach George O’Leary that he is willing to open his books. “Here, I’ll show you,” he says as he walks to his desk. He picks up a thick, three-ring binder and points to the tabs that delineate offense, defense and special teams. Equally prominent is the academics tab. O’Leary flips to that section and shows how each player’s academic progress is tracked. Let other schools perpetuate the running jokes that “student-athlete” is an oxymoron or that “dumb jock” is a redundancy. The Knights are on a different trajectory. “Academics come first here,” O’Leary says. It’s not just with UCF football though; the emphasis on academics is present in all 16 sports at the school. But to suggest that there is a simple program in place to ensure the academic achievement of UCF’s student-athletes would not only be unfair, it would be an understatement. The numbers back Grant up. If you look at The Associated Press’ 2014 final Top 10 standings, Florida State finished first in the nation on the football field and UCF finished 10th. But if you take those same 10 schools and rank them according to graduation success rate (GSR), the list shows UCF finishing first. Overall, UCF was fourth in the country with its GSR, trailing Notre Dame, Stanford and Duke. UCF ranked No. 10 in the final Associated Press poll, but when graduation success rates are compared, the results are much different. Not coincidentally, the UCF football program’s GSR has trended upward since O’Leary arrived. In Fall 2003, the season before the O’Leary era began, the UCF football team bottomed out with an all-time low GPA of 2.018. In Spring 2014, the overall team GPA was 2.94. And for cynics who think football players are graduating with easy degrees designed to inflate the numbers, O’Leary notes that his 85 scholarship players are enrolled in 25 different majors. 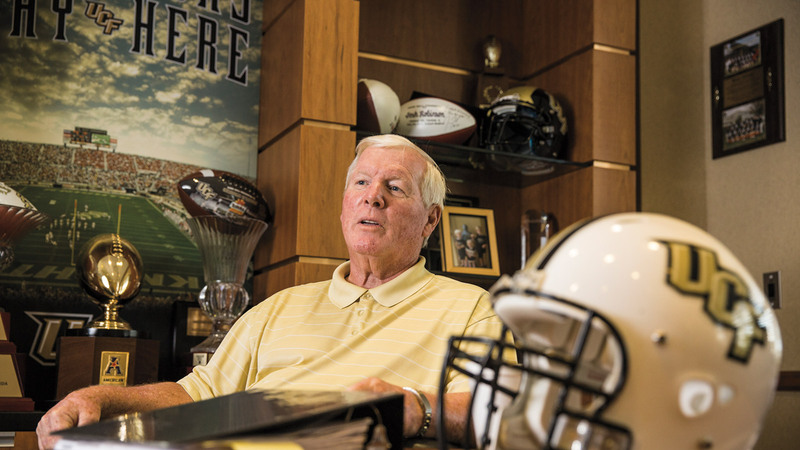 UCF’s academic culture permeates the entire athletic department. But as fans know, it’s football that sets the tone at many schools. And at UCF, that starts with O’Leary. The head coach delegates much to his assistants, but the one thing he won’t hand over is academics. “It’s hands on,” he declares. O’Leary gets weekly reports on his players’ progress — how they’re doing with tests, assignments, attendance, mandatory study halls and tutoring programs — all of which go into his three-ring binder. Players say the worst feeling is knowing their name will be read off “The List” following a grueling practice. Players get on The List by violating any of the aforementioned rules of academic conduct, and the result is running wind sprints or doing another physically taxing drill, typically led by the strength coach. All players attend mandatory study halls with available tutoring programs, which are provided by Academic Services for Student-Athletes (ASSA). And upperclassman football players often pull aside freshman teammates and tell them that when it comes to academics, O’Leary is serious. The message is that if you want an opportunity to perform on the field, then you’d better perform in the classroom first. “Coach O’Leary always tells us that it’s school first,” says senior Brandon Alexander, a defensive back. An Orlando native, Alexander joined the football team with the hope of one day becoming a scholarship player. He saw some playing time his freshman season, but he was struggling in the classroom. 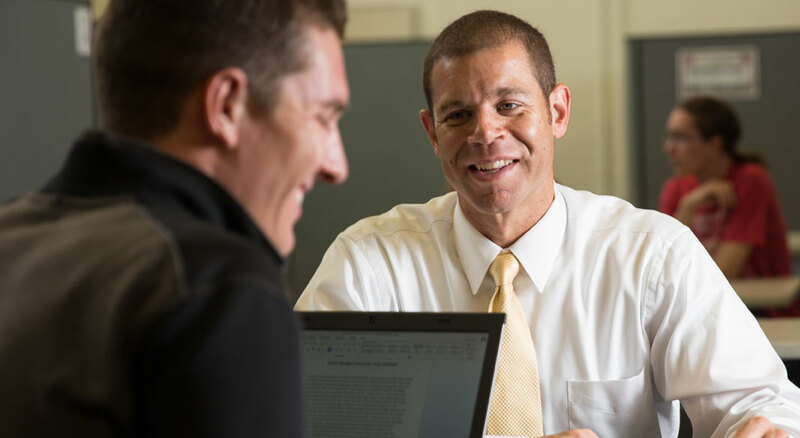 The athletic department, through ASSA, provides an almost minute-to-minute schedule for its athletes, guiding them through a day of practice, classes, study hall and tutoring. Student-athletes know that if they don’t keep to the schedule, they’ll fall dangerously, if not hopelessly, behind. In addition to academics, Alexander also struggled to maintain his schedule. By availing himself of ASSA’s programs (mainly study hall and tutoring), Alexander brought his GPA up from the 2.3 he registered his first semester. That’s when O’Leary called him into his office again, this time to tell him that he was putting him on scholarship. UCF softball head coach Renee Luers-Gillispie holds her student-athletes to high standards, especially in the classroom. To ensure success, Luers-Gillispie, who is entering her 14th season at UCF, reinforces teamwork in all aspects of her players’ lives. That dynamic has helped the team excel academically — 15 softball players were named to the American Athletic Conference 2014 All-Academic Team — but her goals for her players extend beyond GPAs and graduation rates. Alexander, his teammates and other UCF student-athletes credit the assistance given by ASSA, which is headed by Director Kimya Massey. What might be surprising, especially to those who cling to the dumb jock stereotype, is that during the 2012–13 academic year the student body average GPA was 3.01 while UCF’s 450 student-athletes recorded an average GPA of 3.14. During the 2013–14 academic year, student-athletes compiled an average GPA of 3.08, the 13th consecutive semester that UCF’s student-athletes have recorded a GPA of 3.0 or higher. Much of the success is due to a coordinated effort between academics and athletics, helping ensure that practice schedules, road games and the rigors of athletics don’t hold student-athletes back from being what they primarily are — students. In many ways, UCF is ahead of the curve as academic data is used more frequently as a recruiting tool. For instance, not only does UCF boast that its football players are in 25 different degree programs, but that its student-athletes are pursuing 67 different majors. UCF currently offers 91 majors. While much of the recruitment process in the last 30 years focused on training and practice facilities, the trend is toward providing state-of-the-art learning centers. UCF is expected to open the Wayne Densch Center for Student-Athlete Leadership in Fall 2015. Toward that philosophy, UCF has begun tracking where its student-athletes are five years post-graduation, something Massey says is important to Todd Stansbury, UCF’s vice president and director of athletics. Massey says this data will be among the most important statistics tracked by UCF. A.J. Rompza, ’12, may be in one of those studies. 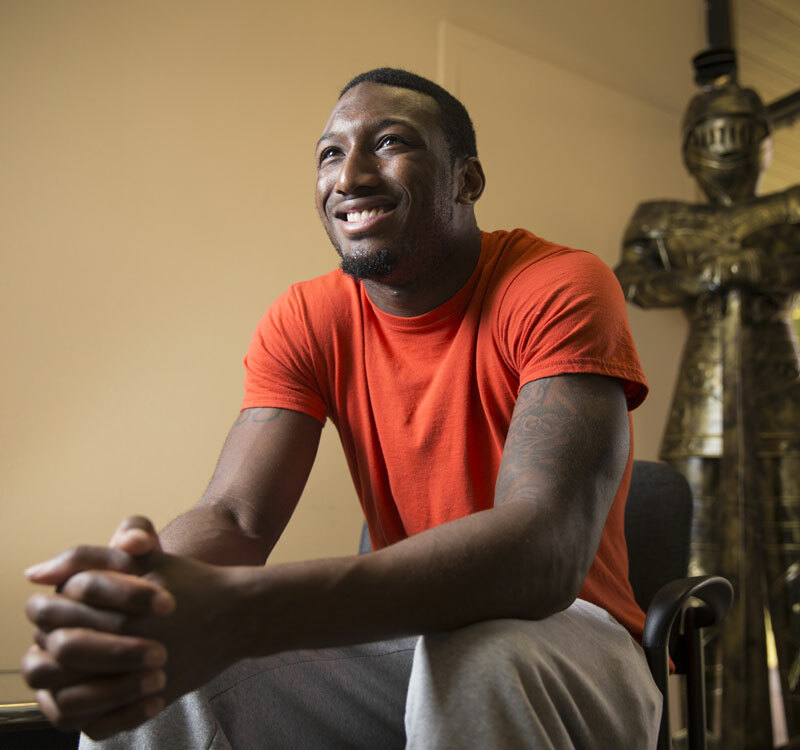 A former guard on UCF’s basketball team, Rompza is 24 now, living in his hometown of Chicago after earning a degree in interdisciplinary studies. Today he helps manage his family’s restaurant businesses, with plans to create his own niche in the industry. Like other student-athletes past and present, Rompza described the academic environment as a culture. 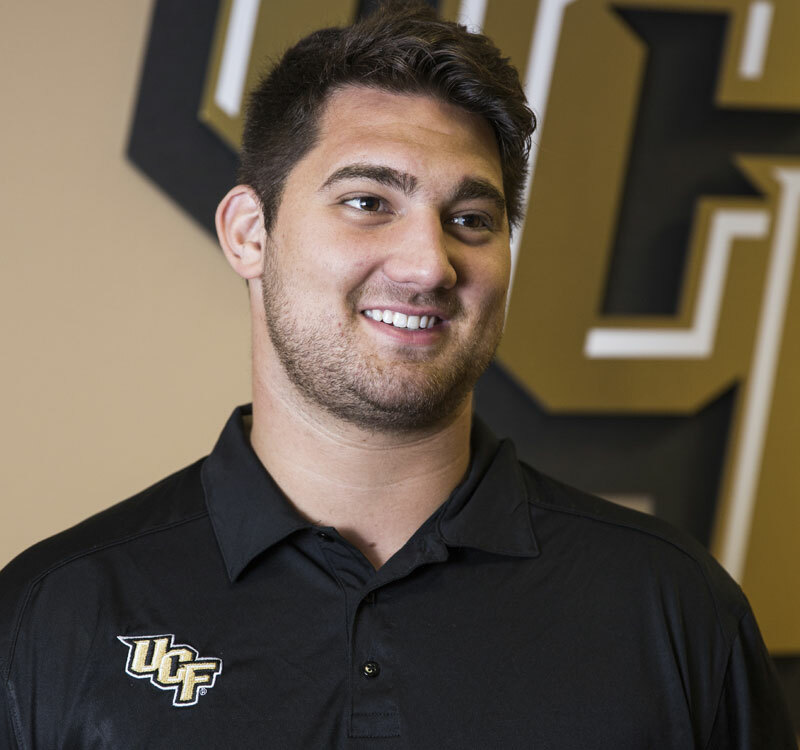 Rompza recalls his days at UCF starting at 5 a.m. and lasting until the early evening. 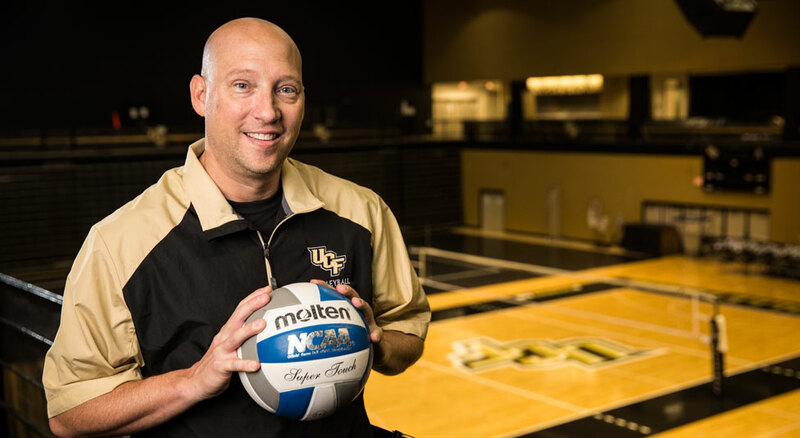 When Todd Dagenais took over as head coach of the UCF volleyball program in 2008, the team had won a single conference match in two years. It was the period of rebuilding on the court that spurred a positive side effect in the classroom. The team GPA rose from a respectable 3.11 in 2008 to an athletic department best of 3.46 in 2013. The key to maintaining the trend of excellence has been the academic competition between UCF teams. Joanna Keough, ’13, is one of those students who thought UCF’s student-athletes were perhaps not held to the same standards as others on campus. “I heard the stereotypes, that grades are given to them, that they’re not really here for school; they’re just here to play sports,” she says. Not only has Keough, 23, continued to work with student-athletes, she’s now ASSA’s assistant tutor program coordinator and finds herself vehemently dispelling the disparaging stereotype of the student-athlete. Staff members work with student-athletes, offering academic counseling, advising, pre-assessment, evaluation and guest coaching programs. Student-athletes’ grades are monitored to ensure they are meeting NCAA, American Athletic Conference and UCF benchmarks. Approximately 50 undergraduate and graduate students are subject tutors. There are also study halls, mentoring and a summer bridge program. Student-athletes are evaluated using NCAA benchmarks along with academic progress rate, graduation success rate and the federal graduation rate. Personal, professional, time management and organizational skills are instilled.